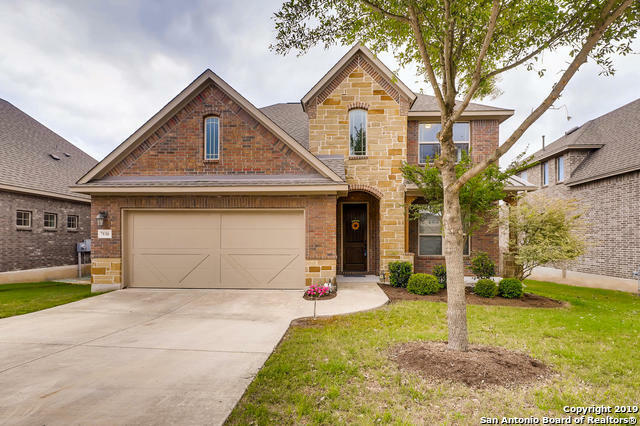 All SABLECHASE homes currently listed for sale in Boerne as of 04/26/2019 are shown below. You can change the search criteria at any time by pressing the 'Change Search' button below. "Beautiful 2 Story Home * 5 Bedrooms * 3.5 Bathrooms - * This 4040 Sq. ft. floor plan has a very nice open concept w/ plenty of natural light shining into Chef Kitchen * Kitchen has Granite Counter Tops, Gas Cooking, Stylish Cabinets * Built-In Appliances * Kitchen Island * (2) Living Areas* Family Room w/Fireplace and wood floors * Master Suite w/ Bay Window * Study * Formal Dining Room * Media Room * Over-Sized Covered Patio . Sprinkler System, Security and so much more." "An awesome opportunity. Gorgeous large spaces everywhere, full of natural light & big height. 8 foot doors, 20 foot ceiling in family w/ floor to ceiling stone fireplace. Jaw dropping acacia wood floors down. Plenty of counters & cabinets in kitchen, gas cooktop, huge master suite. Secondary bed & full bath down for in-laws. Upstairs space never ends! Media room, dual game room family room up. A total of 5 living spaces! 3 car garage, covered patio. Come and see." "Gated quiet community - This is an entertainers dream come true. You really must see to appreciate. Gleaming upgraded hardwood floors, granite countertops in kitchen, light and bright. 4 bedroom 3 1/2 bath - everything for your living pleasure downstairs - 12 ft ceilings downstairs, many many upgrades, playtime upstairs with bonus room & half bath. 3 car garage. Neighborhood has everything you enjoy. 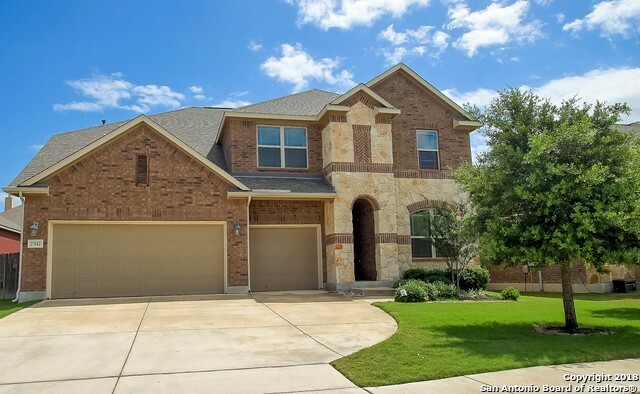 Boerne Schools, EZ access to IH10W, Loop 1604, Leon Springs, HEB, La Cantera, The Rim, Upscale d"
"Lovely stone & brick home in gated community of Sablechase in Boerne ISD. 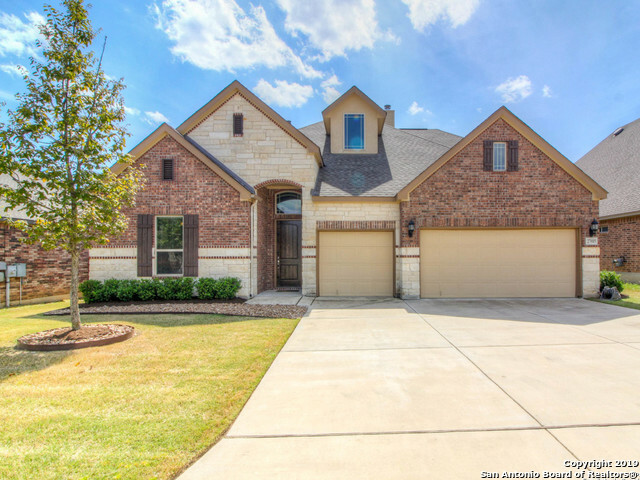 4 bed, 3.5 bath w/ 3 car garage, office w/ french doors, & gameroom. Island kitchen has upgraded granite counter-tops, backsplash, & cabinets. Large master bedroom down w/ huge closet. Extra large secondary bedrooms upstairs. Enjoy entertaining on the covered back patio in a yard w/ plenty of play space & mature trees! Walk or bike to neighborhood amenities including playground, tennis courts, swimming pool & basketb"
"Well maintained home in Sablechase could now be yours! This 4 bdrm, 2.5 bath home boast high ceilings, large kitchen with a gas range and ss appliances, wood floors, large windows that allow a ton of natural light to pour in, covered patio with solar shades, and a large backyard. 1st floor master ste has bay windows, double vanities, and a separate tub & shower. Upstairs loft is great for additional entertaining and over looks the living room. Make your appt. today to come see this because i"